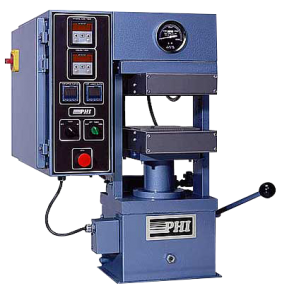 For over 50 years, PHI Manual Compression Presses have been the unquestioned industry standard. 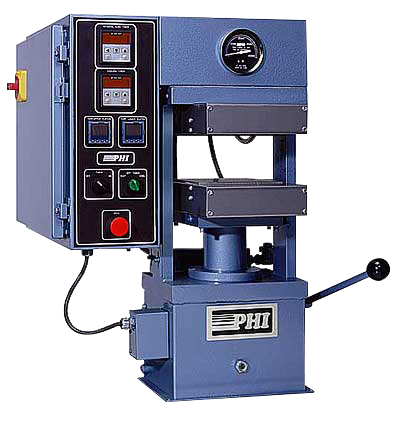 Today, thousands of these compact, efficient presses are in industrial and laboratory service around the world. 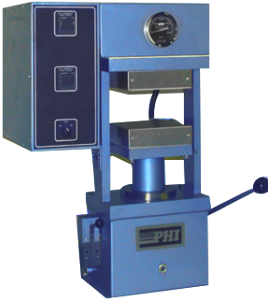 and numerous other laboratory and light production applications. components are conveniently located for ready access for operation and maintenance. 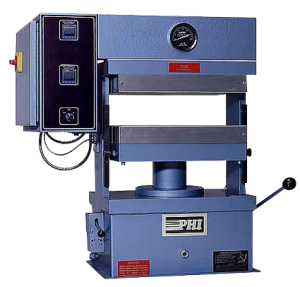 Featuring flexible “building block” design and construction, the many standard and optional features available on PHI manual compression presses allow you to easily and economically tailor your press to meet your individual testing or production requirements. 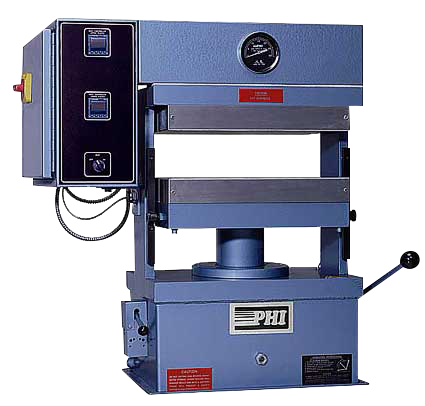 UNITIZED FRAME — In PHI manual compression presses, the heavy duty frame columns are wide, solid steel plates structurally joined to the solid steel bolsters. 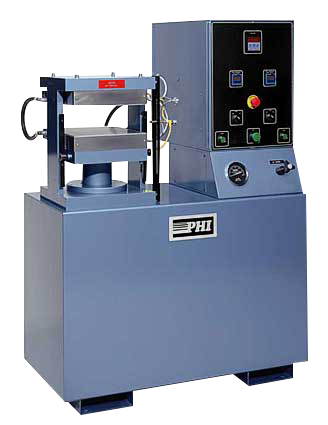 Bolsters are ground, and the frame is carefully aligned to insure accurate platen parallelism. The moving bolster is fully guided. This remarkably strong, rigid design affords minimal deflection, assures accurate mold mating and uniform pressure application under all operating conditions. accurate control throughout the range from 0 Ibs. 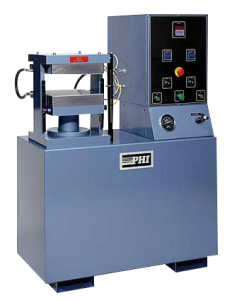 to full press capacity, with optional low pressure instrumentation. pressure overshoot. In addition, the valve provides gradual decompression and fast or slow press opening. Height (inches) 33" 33" 30" 36" 31" 36" 44"